Wolf Commercial Real Estate, a leading Cherry Hill commercial real estate brokerage firm with expertise in Cherry Hill commercial real estate listings and services, now has available premiere Cherry Hill medical space for sale or lease at 3001 Chapel Avenue West, Cherry Hill NJ. This well-located Cherry Hill medical office space for sale or lease is located on the heavily traveled Chapel Avenue West in Cherry Hill NJ. This Cherry Hill medical space for sale or lease at 3001 Chapel Avenue West, Cherry Hill NJ is one mile from the $200 million Kennedy Hospital revitalization. There are more than 6,000 square feet of medical space in Cherry Hill available in this Cherry Hill medical office building for sale or lease through Wolf Commercial Real Estate, a Cherry Hill commercial real estate broker. This Cherry Hill medical space for sale or lease has 4,980 square feet available on the first floor and there is 1,300 square feet available on the second floor of this Cherry Hill medical office building for sale or lease. The asking lease price for this medical space in Cherry Hill is $16.00 sf/Gross plus utilities and janitorial; please call Wolf Commercial Real Estate for information on the asking sale prove. This Cherry Hill medical office space for sale or lease is available for immediate occupancy through Wolf Commercial Real Estate, a Cherry Hill commercial real estate brokerage firm that specializes in Cherry Hill commercial real estate listings and services. This Cherry Hill medical space for sale or lease is easily accessible from Route 70, Route 73, Route 38, I-295, the New Jersey Turnpike and Kings Highway. This elevator-served medical space in Cherry Hill at 3001 Chapel Avenue West, Cherry Hill NJ is a great fit for any professional or medical user seeking ample parking and excellent visibility. Monument and building signage are available at this Cherry Hill medical office building for sale or lease, and there is close access to medical and retail facilities, banks and restaurants to tenants of this Cherry Hill medical space for sale or lease. For more information about this Cherry Hill medical office space for sale or lease at 3001 Chapel Avenue West, Cherry Hill NJ, or about any other Cherry Hill commercial properties for sale or lease contact Jason Wolf (856-857-6301; jason.wolf@wolfcre.com) at Wolf Commercial Real Estate, a leading Cherry Hill commercial real estate broker. Wolf Commercial Real Estate is the foremost Cherry Hill commercial real estate broker that provides a full range of Cherry Hill commercial real estate listings and services, marketing commercial offices, medical properties, industrial properties, land properties, retail buildings and other Cherry Hill commercial properties for buyers, tenants, investors and sellers. Please visit our websites for a full listing of Cherry Hill commercial properties for sale or lease through our Cherry Hill commercial real estate brokerage firm. Wolf Commercial Real Estate, a leading Cherry Hill commercial real estate brokerage firm with expertise in Cherry Hill commercial real estate listings and services, now has available premiere Cherry Hill medical space for lease next to Barclay Shopping Center at 1401 East Marlton Pike, Cherry Hill NJ. This well-located Cherry Hill medical office space for lease is part of a medical/professional office suite complex. This Cherry Hill medical space for lease next to Barclay Shopping Center at 1401 East Marlton Pike, Cherry Hill NJ is in an office park. There are four suites of medical space in Cherry Hill available in this Cherry Hill medical office building for lease through Wolf Commercial Real Estate, a Cherry Hill commercial real estate broker. The first two in this Cherry Hill medical space for lease have Suite 18 of 2,881 sf (under renovation) and Suite 21 of 774 sf. The second two in this Cherry Hill medical office building for lease includes Suite 24 of 1,961 sf and Suite 28 of 1,538 sf. The asking lease price for this medical space in Cherry Hill is $18.00/sf plus utilities and janitorial. This Cherry Hill medical office space for lease next to Barclay Shopping Center is available for immediate occupancy through Wolf Commercial Real Estate, a Cherry Hill commercial real estate brokerage firm that specializes in Cherry Hill commercial real estate listings and services. This Cherry Hill medical space for lease provides immediate access to I-295 and this medical space in Cherry Hill at 1401 East Marlton Pike, Cherry Hill NJ also offers convenient north and south access. This Cherry Hill medical office building for lease is within a several-minute drive of all local health systems and this Cherry Hill medical space for lease is within a three-mile radius of nearly 86.000 residents. For more information about this Cherry Hill medical office space for lease next to Barclay Shopping Center at 1401 East Marlton Pike, Cherry Hill NJ, or about any other Cherry Hill commercial properties for sale or lease, please contact Christopher Henderson (856-857-6337; chris.henderson@wolfcre.com) or Leor Hemo (856-857-6302; leor.hemo@wolfcre.com) at Wolf Commercial Real Estate, a leading Cherry Hill commercial real estate broker. Wolf Commercial Real Estate is the foremost Cherry Hill commercial real estate broker that provides a full range of Cherry Hill commercial real estate listings and services, marketing commercial offices, medical properties, industrial properties, land properties, retail buildings and other Cherry Hill commercial properties for buyers, tenants, investors and sellers. Please visit our websites for a full listing of Cherry Hill commercial properties for lease or sale through our Cherry Hill commercial real estate brokerage firm. Wolf Commercial Real Estate, a premier Cherry Hill commercial real estate brokerage firm that specializes in Cherry Hill commercial real estate listings and services, is now offering prime Cherry Hill medical space for lease at 1949 Marlton Pike Cherry Hill NJ. 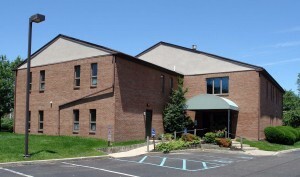 There is space available on the second floor of this Cherry Hill medical building for lease. The available area of this Cherry Hill medical office space for lease provides +/- 914 square feet of professional medical space in Cherry Hill. This Cherry Hill medical space is in Cherry Hill’s Central Business District which adds to the attractiveness of this professional medical office space in Cherry Hill. This professional medical space for lease in Cherry Hill offers easy access to area shopping, hotels and restaurants. This Cherry Hill medical office space for lease is being offered for immediate occupancy by Wolf Commercial Real Estate, a Cherry Hill commercial real estate broker with expertise in Cherry Hill commercial real estate listings and services. Please call for information on the asking lease price for this professional medical space in Cherry Hill at 1949 Marlton Pike Cherry Hill NJ. 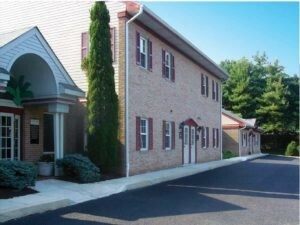 This professional medical office space in Cherry Hill is located along Route 70 (Marlton Pike). The location of this Cherry Hill medical building for lease at 1949 Marlton Pike Cherry Hill NJ provides immediate access to I-295, providing for convenient north/south access. This professional medical space for lease in Cherry Hill is in close proximity to all local health systems. restaurants and banks as well as medical and retail facilities. There is suite signage available at this Cherry Hill medical building for lease. This professional medical space for lease in Cherry Hill is available through Wolf Commercial Real Estate, a Cherry Hill commercial real estate brokerage firm that specializes in Cherry Hill commercial real estate listings and services. Parking is adequate at this professional medical office space in Cherry Hill. 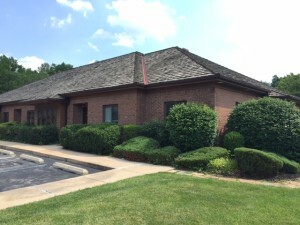 Join Advocare Pediatrics and Paul Adler Family Dentistry at this Cherry Hill medical office space for lease. More than 80,000 people reside within a three-mile radius of this professional medical space in Cherry Hill. For more information about this Cherry Hill medical space for lease at 1949 Marlton Pike Cherry Hill NJ or about any other Cherry Hill commercial properties for sale or lease, please contact Leor R. Hemo (856-857-6302; leor.hemo@wolfcre.com) or Jason M. Wolf (856-857-6301; jason.wolf@wolfcre.com) at Wolf Commercial Real Estate, the foremost Cherry Hill commercial real estate broker. Wolf Commercial Real Estate is a leading Cherry Hill commercial real estate broker that provides a full range of Cherry Hill commercial real estate listings and services, marketing commercial offices, medical properties, industrial properties, land properties, retail buildings and other Cherry Hill commercial properties for buyers, tenants, investors and sellers. Please visit our websites for a full listing of Cherry Hill commercial properties for lease or sale through our Cherry Hill commercial real estate brokerage firm. Wolf Commercial Real Estate, a premier Cherry Hill commercial real estate brokerage firm that specializes in Cherry Hill commercial real estate listings and services, is now offering prime Cherry Hill medical space for lease at 3001 Chapel Avenue West Cherry Hill NJ. There is space available on both floors of this elevator-served Cherry Hill medical building for lease. The first floor of this Cherry Hill medical office space for lease provides 4,980 square feet of professional medical space in Cherry Hill. The second floor features 1,300 square feet of professional medical space for lease in Cherry Hill. This Cherry Hill medical space for lease is one mile from the $200 million Kennedy Hospital revitalization, adding great intrinsic value to this professional medical office space in Cherry Hill. The asking lease price for this professional medical space in Cherry Hill at 3001 Chapel Avenue West Cherry Hill NJ is $16.00/sf Gross plus utilities and janitorial. Please call for information about our asking sale price. This Cherry Hill medical office space for lease is being offered for immediate occupancy by Wolf Commercial Real Estate, a Cherry Hill commercial real estate broker with expertise in Cherry Hill commercial real estate listings and services. 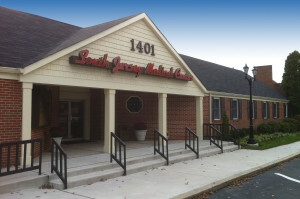 This professional medical office space in Cherry Hill is located in the heart of Cherry Hill. The location of this Cherry Hill medical building for lease at 3001 Chapel Avenue West Cherry Hill NJ provides easy access to Route 70, Route 73, Route 38, I-295, NJ Turnpike and Kings Highway. This professional medical space for lease in Cherry Hill is in close proximity to restaurants and banks as well as medical and retail facilities. Parking is ample at this professional medical office space in Cherry Hill at a ratio of 4.5/1,000 sf. There is excellent visibility and monument signage available at this Cherry Hill medical building for lease. This professional medical space for lease in Cherry Hill is available through Wolf Commercial Real Estate, a Cherry Hill commercial real estate brokerage firm that specializes in Cherry Hill commercial real estate listings and services. On average, more than 26,000 vehicles per day pass by this Cherry Hill medical office space for lease near the intersection of North Kings Highway and Greenwards Lane. More than 92,000 people reside within a three-mile radius of this professional medical space in Cherry Hill. For more information about this Cherry Hill medical space for lease at 3001 Chapel Avenue West Cherry Hill NJ or about any other Cherry Hill commercial properties for sale or lease, please contact Leor R. Hemo (856-857-6302; leor.hemo@wolfcre.com) or Jason M. Wolf (856-857-6301; jason.wolf@wolfcre.com) at Wolf Commercial Real Estate, the foremost Cherry Hill commercial real estate broker. Wolf Commercial Real Estate, a premier Cherry Hill commercial real estate brokerage firm that specializes in Cherry Hill commercial real estate listings and services, is now offering prime Cherry Hill medical space for lease in the South Jersey Medical Center at 1401 East Marlton Pike Cherry Hill NJ. There are four units ranging in size from 774 square feet to 2,538 square feet at this Cherry Hill medical building for lease. Suite 21 of this Cherry Hill medical office space for lease provides 774 square feet of professional medical space in Cherry Hill. Suite 25 features 2,538 square feet of professional medical space for lease in Cherry Hill. Suite 26 has 2,126 square feet of Cherry Hill medical space for lease. And, Suite 28 offers 1,538 square feet of professional medical office space in Cherry Hill. The asking lease price for this professional medical space in Cherry Hill in the South Jersey Medical Center at 1401 East Marlton Pike Cherry Hill NJ is $18.00/sf plus utilities and janitorial. This Cherry Hill medical office space for lease is being offered for immediate occupancy by Wolf Commercial Real Estate, a Cherry Hill commercial real estate broker with expertise in Cherry Hill commercial real estate listings and services. 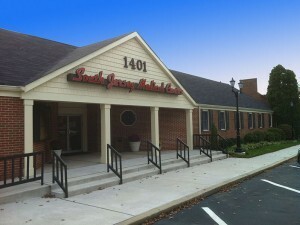 This professional medical office space in Cherry Hill sits on Route 70 next to the busy Barclay Shopping Center. The location of this Cherry Hill medical building for lease at 1401 East Marlton Pike Cherry Hill NJ provides easy access to I-295 and points North and South in the state and throughout the region. This professional medical space for lease in Cherry Hill in the South Jersey Medical Center is a short drive to all major South Jersey health systems, including Virtua, Lourdes, Kennedy, UMDNJ and Cooper. Parking is ample at this professional medical office space in Cherry Hill at a ratio of 6/1,000. There is both a lobby directory and tenant suite signage available at this Cherry Hill medical building for lease. This professional medical space for lease in Cherry Hill is available through Wolf Commercial Real Estate, a Cherry Hill commercial real estate brokerage firm that specializes in Cherry Hill commercial real estate listings and services. On average, nearly 62,000 vehicles per day pass by this Cherry Hill medical office space for lease on Marlton Pike East (Route 70 East). Almost 86,000 people reside within a three-mile radius of this professional medical space in Cherry Hill. For more information about this Cherry Hill medical space for lease in the South Jersey Medical Center at 1401 East Marlton Pike Cherry Hill NJ or about any other Cherry Hill commercial properties for sale or lease, please contact Leor Hemo (856-857-6302; leor.hemo@wolfcre.com) at Wolf Commercial Real Estate, the foremost Cherry Hill commercial real estate broker. Wolf Commercial Real Estate, a top Cherry Hill commercial real estate brokerage firm that offers Southern New Jersey commercial real estate listings and services, is making available well-located Cherry Hill medical space for sale at 401 South Kings Highway Cherry Hill NJ. Situated in Suite 2C of the Tara Professional Park, this professional medical space in Cherry Hill has suites of 1,728 sf and 1,368 sf and a loft of 360 sf of well-located Southern New Jersey medical space for sale. This Cherry Hill medical building for sale was renovated not that long ago. This Southern New Jersey medical space for sale has an efficient layout and interior design and is perfect for a number of professional uses. This Cherry Hill medical building for sale is part of a professional campus that is wonderfully landscaped campus. This Cherry Hill medical space for sale in the Tara Professional Park at 401 South Kings Highway Cherry Hill NJ is managed and owned by locals. The superb location of this Cherry Hill professional medical space for sale on South Kings Highway offers close-by access to the popular Route 70 corridor, the Haddonfield Business District and all points in Cherry Hill and the surrounding communities. This professional medical space in Cherry Hill also is near Philadelphia. There are a number of businesses and amenities close by this Cherry Hill medical building for sale. This Southern New Jersey medical space for sale in the Tara Professional Park at 401 South Kings Highway Cherry Hill NJ is available from Wolf Commercial Real Estate, a Cherry Hill commercial real estate brokerage firm that works with Southern New Jersey commercial real estate listings and services. There is plentiful parking at this Cherry Hill medical building for sale and more than 56,000 vehicles per day drive in front of this Cherry Hill professional medical space for sale. Just under 305,000 people live within a five-mile radius of this Southern New Jersey medical space for sale. For more information about this Cherry Hill medical space for sale in the Tara Professional Park at 401 South Kings Highway Cherry Hill NJ or about any other Cherry Hill commercial properties for sale or sale, psale contact Jason Wolf (856-857-6301; jason.wolf@wolfcre.com) or Leor Hemo (856-857-6302; leor.hemo@wolfcre.com) at Wolf Commercial Real Estate, a Cherry Hill commercial real estate broker. Wolf Commercial Real Estate is a Cherry Hill commercial real estate broker that provides a full range of Southern New Jersey commercial real estate listings and services, marketing commercial medicals, medical properties, industrial properties, land properties, retail buildings and other Cherry Hill commercial properties for buyers, tenants, investors and sellers. Psale visit our websites for a full listing of Cherry Hill commercial properties for sale or sale through our Cherry Hill commercial real estate brokerage firm. Wolf Commercial Real Estate, a leading Cherry Hill commercial real estate broker with expertise in Cherry Hill commercial real estate listings and services, is pleased to offer well-located Cherry Hill medical space for lease at 1401 East Marlton Pike Cherry Hill NJ. This Cherry Hill medical office space for lease features of four units ranging from 774 square feet to 2,538 square feet. Suite 21 of this Cherry Hill office building for lease offers 774 square feet of medical space in Cherry Hill. Suite 26 provides 2,538 of Cherry Hill medical space for lease, while Suite 26 offers 2,216 square feet of medical office space in Cherry Hill, and Suite 28 features 1,538 square feet of Cherry Hill medical office space for lease. The asking lease price for this medical space in Cherry Hill at 1401 East Marlton Pike Cherry Hill NJ is $18.00/sf plus utilities and janitorial. This medical space for lease in Cherry Hill is available for immediate occupancy through Wolf Commercial Real Estate, a Cherry Hill commercial real estate brokerage firm that specializes in Cherry Hill commercial real estate listings and services. This medical office space in Cherry Hill is located on the well-traveled Route 70 corridor, next to the popular Barclay Shopping Center. There is convenient access from this medical space for lease in Cherry Hill to I-295 and points North and South. This Cherry Hill office building for lease at 1401 East Marlton Pike Cherry Hill NJ is just minutes from of all South Jersey health systems — Virtua, Lourdes, Kennedy, UMDNJ and Cooper. With a ratio of 6/1,000, parking is abundant at this medical office space in Cherry Hill. This Cherry Hill office building for lease provides both a lobby directory and tenant suite signage. This Cherry Hill medical office space for lease is being offered by Wolf Commercial Real Estate, a Cherry Hill commercial real estate broker that specializes in Cherry Hill commercial real estate listings and services. An average of almost 62,000 vehicles per day drive by this medical space in Cherry Hill at 1401 East Marlton Pike Cherry Hill NJ. In addition, nearly 86,000 people live within three miles of this medical space for lease in Cherry Hill. For more information about this Cherry Hill medical space for lease at 1401 East Marlton Pike Cherry Hill NJ or about any other Cherry Hill commercial properties for sale or lease, please contact Christina Del Duca (856-857-6304; christina.delduca@wolfcre.com) at Wolf Commercial Real Estate, the premier Cherry Hill commercial real estate brokerage firm. Wolf Commercial Real Estate, a premier Cherry Hill commercial real estate brokerage firm that specializes in Cherry Hill commercial real estate listings and services, now has available highly visible Cherry Hill medical space for sale or lease at 3001 Chapel Avenue West Cherry Hill NJ. This Cherry Hill medical office building for sale or lease features 6,200 square feet of medical office space in Cherry Hill on two stories. The first floor of this Cherry Hill medical building for sale or lease has 4,900 square feet of medical space in Cherry Hill on the first floor and 1,300 square feet of Cherry Hill medical office space for sale or lease on the second floor. The asking lease price for this medical office space in Cherry Hill at 3001 Chapel Avenue West Cherry Hill NJ is $16.00 sf/gross plus utilities and janitorial. For information on the asking sale price of this medical space in Cherry Hill, please contact Wolf Commercial Real Estate, a Cherry Hill commercial real estate broker with expertise in Cherry Hill commercial real estate listings and services. This Cherry Hill medical space for sale or lease is ideal for any professional or medical user looking for medical office space in Cherry Hill with high visibility, ample parking and convenient access to medical facilities, restaurants, banks and retail shops. Located in the heart of Cherry Hill, this Cherry Hill medical office space for sale or lease is in close proximity to Kennedy University Hospital – Cherry Hill on Chapel Avenue West at Cooper Landing Road. There is easy access to Route 70, Route 73, Route 38, I-295, the New Jersey Turnpike and Kings Highway from this Cherry Hill medical office building for sale or lease. This free-standing Cherry Hill medical building for sale or lease at 3001 Chapel Avenue West Cherry Hill NJ includes elevator service and has both monument and building signage available. This medical space in Cherry Hill is available for immediate occupancy through Wolf Commercial Real Estate, a Cherry Hill commercial real estate brokerage firm that specializes in Cherry Hill commercial real estate listings and services. There are more than 274,200 residents living within a five-mile radius of this Cherry Hill medical office space for sale or lease at 3001 Chapel Avenue West Cherry Hill NJ. With a ratio of 4.50/1,000 sf, parking is plentiful at this South Jersey medical office building for sale or lease. More than 26,000 vehicles per day pass by this medical office space in Cherry Hill at the intersection of Chapel Avenue and Greenwards Lane near the entrance to this Cherry Hill medical building for sale or lease. For more information about this Cherry Hill medical space for sale or lease at 3001 Chapel Avenue West Cherry Hill NJ or about any Cherry Hill commercial properties for sale or lease, please contact Jason Wolf (856-857-6301; jason.wolf@wolfcre.com) or Leor Hemo (856-857-6302; leor.hemo@wolfcre.com) at Wolf Commercial Real Estate, a Cherry Hill commercial real estate broker with expertise in Cherry Hill commercial real estate listings and services. Wolf Commercial Real Estate, the foremost Cherry Hill commercial real estate broker that specializes in Cherry Hill commercial real estate listings and services, now has available newly renovated Cherry Hill medical space for lease at 1873 East Marlton Pike Cherry Hill NJ. Located in the Heritage Square Office Park, this Cherry Hill medical office space for lease has been recently renovated. There are new interior brick archways and an attractive brick courtyard at this Cherry Hill medical office building for lease. This Cherry Hill professional medical space for lease at 1873 East Marlton Pike Cherry Hill NJ features up to 40,845 square feet of contiguous Cherry Hill medical space for lease on two floors. The first floor of this professional medical space in Cherry Hill offers 1,150-19,285 square feet of divisible Cherry Hill medical office space for lease. The second floor of this Cherry Hill medical office building for lease has 980-21,560 square feet of divisible Cherry Hill professional medical space for lease. This professional medical space in Cherry Hill is available for immediate occupancy through Wolf Commercial Real Estate, a Cherry Hill commercial real estate brokerage firm that specializes in Cherry Hill commercial real estate listings and services. 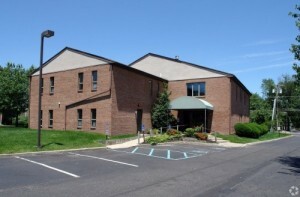 The asking lease price for this Cherry Hill medical space for lease is $14.00-$16.00/sf plus electric and janitorial. There is new ownership and management at this Cherry Hill medical office building for lease in the Heritage Square Office Park at 1873 East Marlton Pike Cherry Hill NJ. Security card access provides a secure environment at this Cherry Hill professional medical space for lease. This Cherry Hill medical office space for lease is being offered by Wolf Commercial Real Estate, a Cherry Hill commercial real estate broker that specializes in Cherry Hill commercial real estate listings and services. Situated on busy Route 70, this professional medical space in Cherry Hill in the Heritage Square Office Park is easily reached from I-295, the NJ Turnpike, Route 73 and Center City Philadelphia. There is abundant parking at this Cherry Hill medical office building for lease at a ratio of 4.83/1,000 sf. More than 224,000 potential employees and patients live within a five-mile radius of this Cherry Hill professional medical space for lease. For more information about this Cherry Hill medical space for lease at 1873 East Marlton Pike Cherry Hill NJ or about any other Cherry Hill commercial properties for lease or sale, please contact Christopher R. Henderson (856-857-6337; chris.henderson@wolfcre.com) at Wolf Commercial Real Estate, a Cherry Hill commercial real estate brokerage firm. Wolf Commercial Real Estate, a premier Cherry Hill commercial real estate brokerage firm that specializes in Cherry Hill commercial real estate listings and services, is now offering prime Cherry Hill medical office space for lease at 1401 East Marlton Pike Cherry Hill NJ. There are units ranging in size from 774 sf to 2,700 sf at this Cherry Hill medical space for lease. The asking lease price for this medical space in Cherry Hill is $18.00/sf plus utilities and janitorial. This medical space in 08034 is available for immediate occupancy through Wolf Commercial Real Estate, a Cherry Hill commercial real estate broker. Located on busy Route 70 next to the Barclay Shopping Center, this Cherry Hill medical space for lease provides easy access to I-295 and points North and South. This Cherry Hill medical office space for lease is conveniently located just minutes from of all South Jersey health systems (Virtua, Lourdes, Kennedy, UNDNJ and Cooper). Parking is plentiful at this medical space in 08034 at 6/1000. This medical space in Cherry Hill at 1401 East Marlton Pike Cherry Hill NJ is available through Wolf Commercial Real Estate, a Cherry Hill commercial real estate brokerage firm that specializes in Cherry Hill commercial real estate listings and services. On average, nearly 62,000 vehicles per day pass this medical space in 08034 at 1401 East Marlton Pike Cherry Hill NJ. Close to 86,000 people reside within a three-mile radius of this medical space in Cherry Hill for lease through Wolf Commercial Real Estate, a Cherry Hill commercial real estate broker that specializes in Cherry Hill commercial real estate listings and services. For more information about this Cherry Hill medical space for lease at 1401 East Marlton Pike Cherry Hill NJ or about any other Cherry Hill commercial properties for sale or lease, please contact Christina Del Duca (856-857-6304; christina.delduca@wolfcre.com) or Leor Hemo (856-857-6302; leor.hemo@wolfcre.com) at Wolf Commercial Real Estate, the foremost Cherry Hill commercial real estate brokerage firm.